UPGRADED & UPDATED [LID, STRAW & PAINT]: No more sliding mechanisms on our lids or straws that are easily pulled out of the cup. 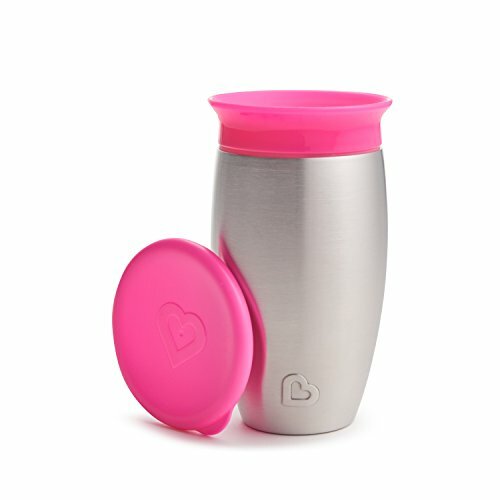 Our lids have been updated to a single opening to allow our custom silicone straw, with molded-in stopper, to fit snug and inside cup while keeping these tumblers spill proof. Our paint has been upgraded to ensure no peeling with a long life expectancy. JUST LIKE [MOM & DAD]: No more wanting to drink from your prized tumbler or germs to be shared! 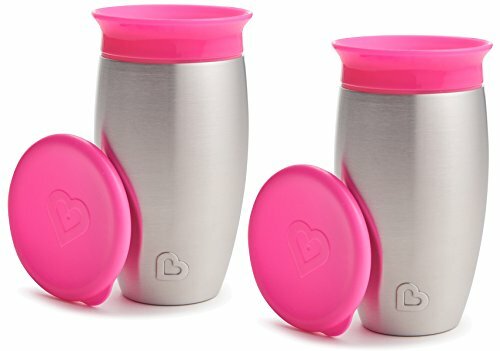 Your toddler/little kid will feel big and love looking just like mommy and daddy with these designer inspired cups that are the perfect size for toddler hands and fit nicely in stroller and car seat cup holders. 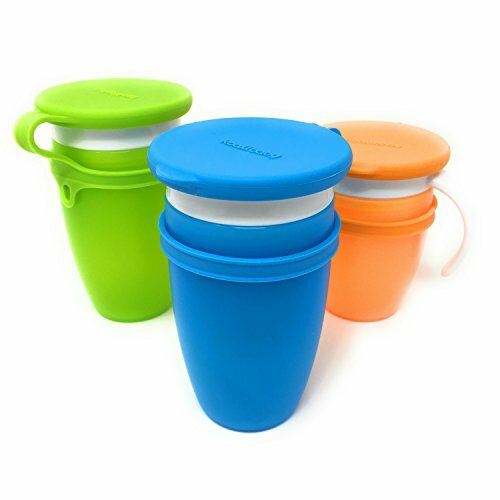 LESS SPILLS, NO SWEAT RINGS AND [HAPPIER PARENTS]: You won't have to worry about dropping and breaking these sippy cups! 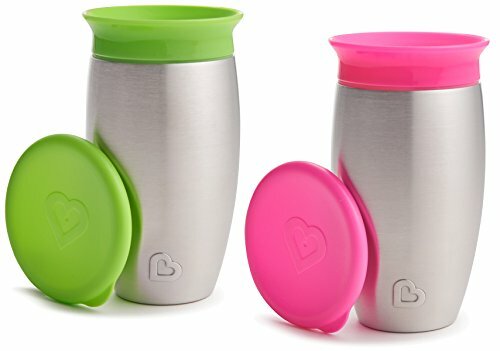 These stainless steel, double wall, vacuum insulated cups are not only unbreakable, but keep milk, juice, smoothies and water hot or cold for hours without any condensation. 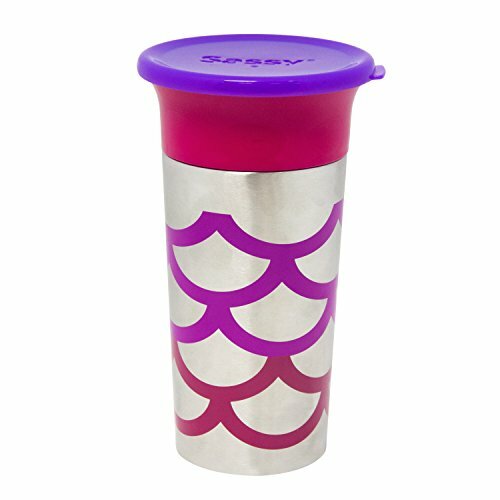 Our BPA free lid fits snug and secure to keep this tumbler spill proof. 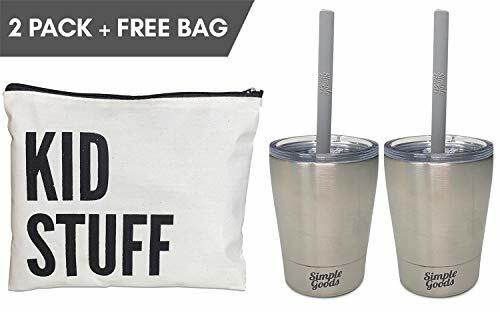 MULTIFUNCTIONAL FREE [CANVAS BAG]: You will receive 2 tumblers, 2 lids and 2 sturdy straws in this zippered, lined "KID STUFF" canvas bag. Perfect for keeping your child's snacks, toys and trinkets organized in a diaper bag or oversized purse. HOW TO CARE FOR YOUR [TINY TUMBLERS]: Tumblers will hold 8 oz. of beverage and measure 3.0" diameter x 2.75" height. We recommend hand washing the tumbler, lid and straw. Do not use in microwave. SAFETY MATTERS: We use 100% food grade BPA free silicone that meets the highest safety standard for both US and Europe. Safe for our daughter and your children. PREVENT LEAKAGE: Our lids are custom designed to fit all your Miracle 360 cups. 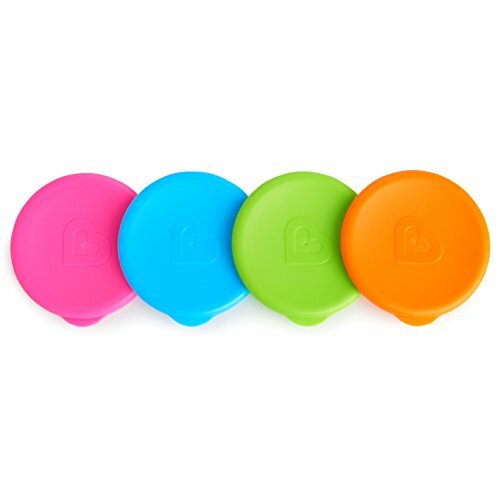 That means they create a perfect seal around the cup to prevent leakage in your diaper bag. NAME IDENTIFICAITON: Use a dry erase marker or ballpoint pen to write your children's name on the connecting band. No more guessing whose cup is it. EASY INSTALL: Simply pull the loop up the sippy cup until you can easily snap-on the lid. You are good to go. TETHER READY: 3 carabiners are included to hook the cup to your bag or stroller. Or use the small loop to connect to a strap. 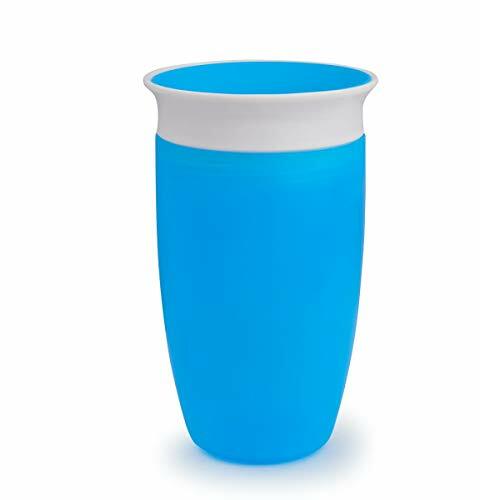 Helps children transition to an open cup; designed with a flared rim top for easy drinking and most closely resembles a "grown-up cup"